Urgent.ly, a Vienna, Virginia-based global mobility and roadside assistance platform, announced it has raised $21 million in Series B funding. BMW i Ventures, InMotion Ventures, and Porsche Ventures participated in this round. Existing investors like American Tire Distributors also returned for this round. Founded by Chris Spanos, Surendra Goel, and Luke Kathol in 2013, Urgent.ly has now raised about $40 million including this round. As global automotive and new mobility companies are designing and marketing more transportation options with varying tasks and complexity, it will render traditional roadside assistance obsolete. Mobility assistance that can service today’s vehicles and fleets of the future such as electric vehicles, autonomous vehicles, micro-mobility vehicles, drones, robotic delivery, etc. will become increasingly essential. BMW i Ventures partner Kasper Sage emphasized that the old model of roadside assistance has to make way for a modern, more digital approach. And Urgent.ly will allow OEMs around the world to provide customers with real-time and connected digital experiences expected in everything from food delivery to ride-sharing. Urgent.ly connects dealerships, OEMs, providers, and customers in real time with actionable data-driven insights. BMW Group also recently selected Urgent.ly to work together with the BMW ConnectedDrive Customer Interaction Center (BMW Assist) as the vendor partner to provide roadside assistance and extended mobility services to owners to all four brands in the U.S. including BMW, BMW Motorrad, MINI, and Rolls-Royce Motor Cars. Mike Hernandez, the manager for BMW Roadside Assistance and Mobility Services pointed out that Urgent.ly’s innovative and flexible modular platform enables the company to realize its vision for a completely transparent and integrated roadside assistance experience for BMW’s drivers and riders. How does Urgent.ly work? Customers can contact Urgent.ly’s call center agents online or over the phone. Then those agents can send them a text asking them to share their GPS location. And Ryan Marsh, the chief growth and innovation officer at American Tire Distributors (ATD) — which is the largest tire distributor in North America — said that the company is thrilled to partner with Urgent.ly. 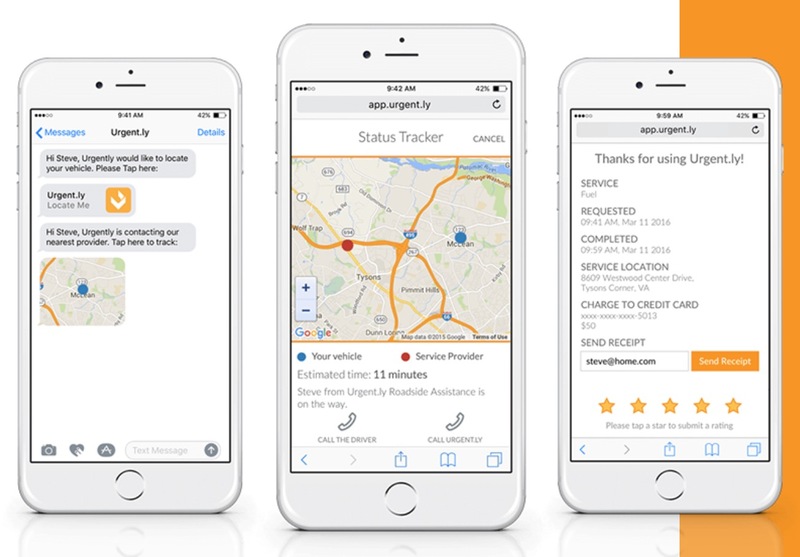 And he said that Urgent.ly’s digitally-enabled business model to modernize the roadside assistance experience will help ATD continue to bring new capabilities to customers as they drive traffic to their business and enhance their operations.